Located in Elmira, Trinity of Chemung County is one of the best substance abuse treatment facility in that area. Trinity of Chemung County founded since 2009 is one of the most reputable landmarks in Elmira New York. 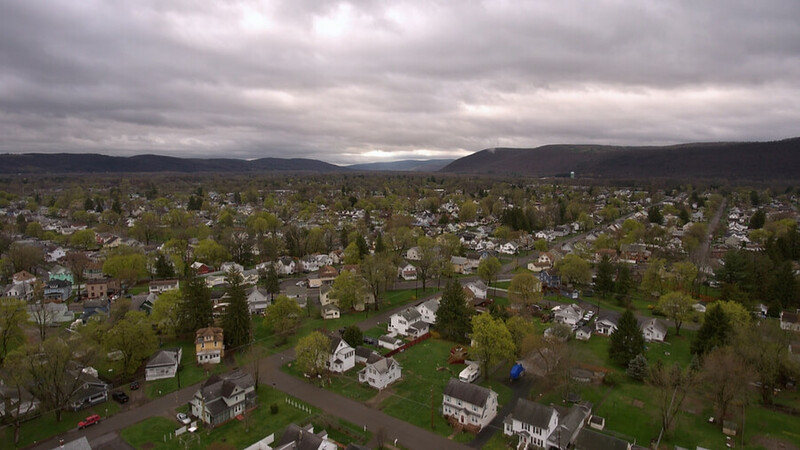 Trinity of Chemung County is a private non-profit organization that provides flexible outpatient treatment for the residents of Chemung County suffering from drug and alcohol dependency. So far, Trinity of Chemung County has provided education, treatment, and prevention services to more than 300 people each month. They provide services to women, men, adolescents, and families. At Trinity for Chemung County, the facility uses evidence-based research and treatment services together with therapy programs which can help patients overcome dependency. The fact that this facility carefully follows the guidelines of the government when treating addiction and mental health services, makes it a trustworthy facility to undergo addiction and chemical dependency treatments. The facility works with a counselor from the Department of Social Services to foster the provision of effective and timely services to those receiving public assistance and in need of substance abuse treatment services. Trinity of Chemung County offers various treatment options to their patients after they pass through both physical and mental evaluation by a qualified therapist to determine which treatment option would be best for their patient. After which their therapist drafts an individualized plan to suit their patient’s needs for the duration of their stay or attendance in the facility. This facility focuses on patients who are suffering from drug addiction, alcoholism, drug abuse and also patients suffering from mental health problems. This facility does not offer any form of an inpatient treatment program. At Trinity of Chemung Country, the treatment and therapy plan are both drafted at the same time to effectively work on their patient’s individual need. This facility has a variety of therapy choices which are aimed to be effective in the recovery process of the patients admitted. These programs are made possible to suit any patient requiring any need. Each and every therapy organized by this facility is handled by a licensed and experienced professional. Trinity of Chemung County is licensed by the state of New York. Trinity of Chemung County is a non-profit organization running privately since its establishments in 2009. For over 9 years of service, this facility has been influential in the prevention and treatment of people suffering from one addiction problem to another. This facility offering different treatment options and therapy choices to its patients gives their patients the chance to work on themselves both physically and mentally to achieve a fun sober life. Trinity of Chemung Country has a team of experienced and licensed professionals whose job is to ensure that their patients receive the best recovery service available, see the fun in living a sober life and never have to return to their past lives of substance abuse. The staff working at Trinity of Chemung Country is a team of experienced and licensed nurses, CADCs, Case Managers, Psychiatrists, therapists, and pharmacists. The staffs at this facility have years of experience providing treatment, and they are a qualified team of professionals who handle addiction issues generally.